Successful bioremediation of oil pollution is based on a comprehensive understanding of the in situ physicochemical conditions and indigenous microbial communities as well as the interaction between microorganisms and geochemical variables. Nineteen oil-contaminated soil samples and five uncontaminated controls were taken from six major oilfields across different geoclimatic regions in China to investigate the spatial distribution of the microbial ecosystem. 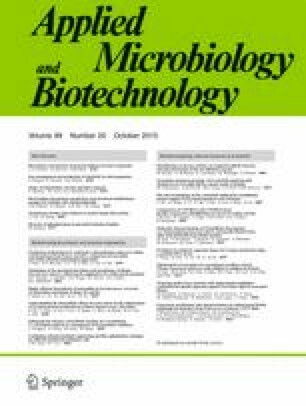 Microbial community analysis revealed remarkable variation in microbial diversity between oil-contaminated soils taken from different oilfields. Canonical correspondence analysis (CCA) further demonstrated that a suite of in situ geochemical parameters, including soil moisture and sulfate concentrations, were among the factors that influenced the overall microbial community structure and composition. Phylogenetic analysis indicated that the vast majority of sequences were related to the genera Arthrobacter, Dietzia, Pseudomonas, Rhodococcus, and Marinobacter, many of which contain known oil-degrading or oil-emulsifying species. Remarkably, a number of archaeal genera including Halalkalicoccus, Natronomonas, Haloterrigena, and Natrinema were found in relatively high abundance in some of the oil-contaminated soil samples, indicating that these Euryarchaeota may play an important ecological role in some oil-contaminated soils. This study offers a direct and reliable reference of the diversity of the microbial community in various oil-contaminated soils and may influence strategies for in situ bioremediation of oil pollution. The online version of this article (doi: 10.1007/s00253-015-6748-1) contains supplementary material, which is available to authorized users. We thank Dr. Ying Huang for her help and suggestions on the statistical analysis. We thank Dr. Amanda Luther for thoughtful reviews of the manuscript and discussion of the topics therein. This study was funded by the Strategic Priority Research Program of the Chinese Academy of Sciences (Grant No. XDB06020200), the National Natural Science Foundation of China (Grant No. 41376077 and No. 41406067), the Knowledge Innovation Program of the Chinese Academy of Sciences (Grant No. SIDSSE-QN-201303), and the Open Fund of Key Laboratory of Marine Spill Oil Identification and Damage Assessment Technology (Grant No. 201307). Weimin Sun declares that he has no conflict of interest. Jiwei Li declares that he has no conflict of interest. Lei Jiang declares that he has no conflict of interest. Zhilei Sun declares that he has no conflict of interest. Meiyan Fu declares that she has no conflict of interest. Xiaotong Peng declares that he has no conflict of interest.